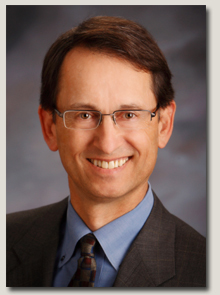 Jerry Hecker CPA/ABV/CFF CVA is a certified public accountant with over 30 years of experience helping his clients minimize taxes and grow their businesses in Boise and the greater Northwest. Jerry also has specialized credentialing in business valuation and forensic accounting. The ABV and CFF designations are awarded by the American Institute of Certified Public Accountants (AICPA) to document proven skills as an accredited business valuator and as an expert certified in financial forensics. The CVA credential was earned from the National Association of Certified Valuation Analysts (NACVA) as a designation of proven expertise in the business valuation arena. Jerry has also obtained two AICPA certificates of educational achievement in business valuation. Jerry has authored articles and made presentations about valuation issues to business and professional associations. Jerry grew up in Boise, graduated from Bishop Kelly High School, and received his business administration degree from Oregon State University. Jerry and his wife, Joan, have raised four kids here in Boise. Through the years, he's been actively involved in coaching his kids' various sports teams, sponsored foreign exchange students through Rotary, and been privileged to serve on both Bishop Kelly and OSU alumni boards. On the weekends, he loves to golf, read business books, and travel to see his kids.